We offer general liability and business owner insurance plans, as well as commercial vehicle insurance for 18-wheelers, tractor-trailers, construction trucks, and cargo vans to name a few. Companion products or multipolicy discounts are available. This means that more policies you have with us, the better rates you will receive. What is a General Liability Insurance Policy? Insurance which is primarily concerned with losses caused by negligent acts and/or omissions resulting in bodily injury and/or property damage on the premises of a business, injury resulting from the use of a product manufactured or distributed by a business, or injury occurring in the general operation of a business. A promise by a professional surety insurer to pay should the principal default or commit a wrongful act. A written guarantee that a party will perform an expressed obligation. We can also insure your vehicles that are used for business, wheather it's passenger autos or heavy trucks. 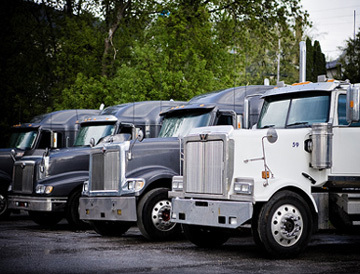 Commercial vehicle insurance is designed to protect business owners, employees, assets and vehicles. Workers' compensation is a state-mandated, 'no-fault' insurance system that pays benefits to workers injured on the job to cover medical care, part of lost wages and permanent disability. In return, employers receive immunity from civil lawsuits by employees over such workplace injuries.